And just like that, it’s July already! Pretty crazy, huh? 2013 is half over and 2014 no longer seems like an impossibility. Summer has been beautiful in Omaha, perfect for events! 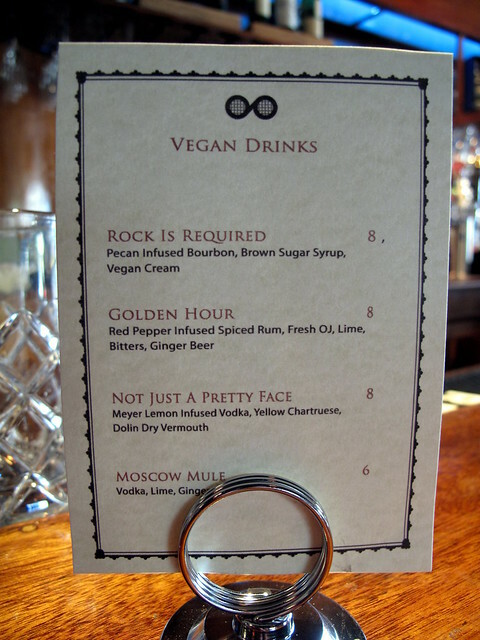 Omaha Vegan Drinks: June was amazing as usual. Great drinks, food, people and atmosphere. Three new drinks right off the bat! And you know I had to try all three, right? It’s hard to say which was my favorite. The two you see left to right are Not Just A Pretty Face and the Golden Hour. Very summery drinks, I loved them all! The food for the night was the Block 16 Jackfruit Taco. 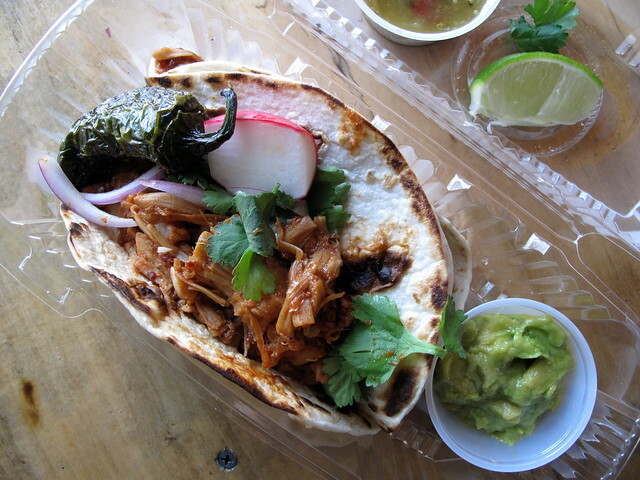 Mmm-mm, hoping this becomes a Block 16 staple, or a the very least, I hope B16 tacos regularly. Soooo good! Of course you have to have dessert! 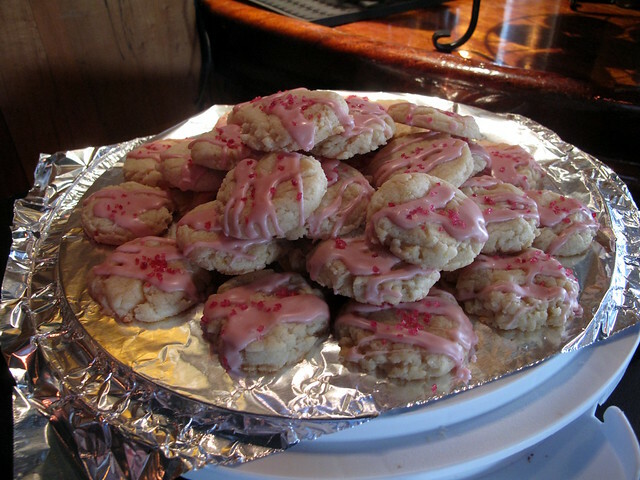 Isa made some Pink Lemonade Cookies. And yes, they were as yummy as they sound! A great night! Special thanks to House of Loom for making us feel so welcome. Vegan Drinks: July is on the 25th this month, don’t miss it! 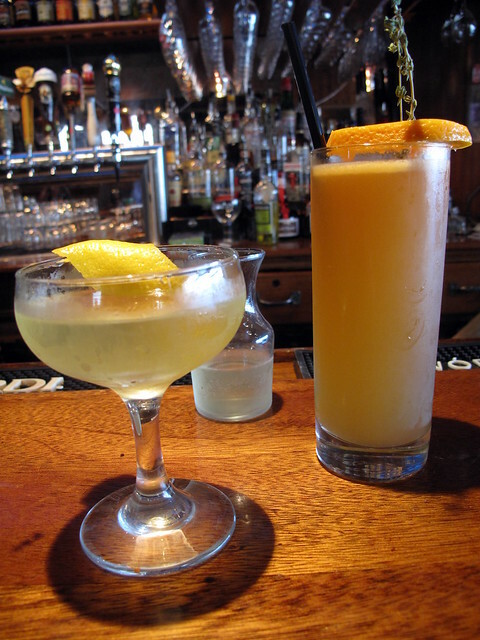 Stay up to date at our Omaha Vegan Drinks Facebook page or the Omaha Vegan Drinks Twitter. But before the next Vegan Drinks, Dishcrawl Omaha is having a Downtown Vegan Food Crawl and I couldn’t be more excited! Details are hush hush, but I’m sure you’ll be blown away. As an incentive to Vegan Omaha followers, Dishcrawl Omaha is offering a $5 off coupon code. Use code “omahavegan” at checkout. Hope to see you there! I also want to mention Kitchen Table (14th & Farnam) and Tropical Smoothie Cafe (Papillion) has some great Vegan options that you need to check out asap. Enjoy the rest of your summer!